DALLAS, TX – A CGC Certified VF-7.5 copy of Detective Comics #27, known as the “Aloha” copy, is expected to bring $400,000+ when it makes its hobby debut as part of Heritage Auctions’ Aug. 5-6 Signature® Comics and Comics Art Auction. It is expected to bring $400,000+. 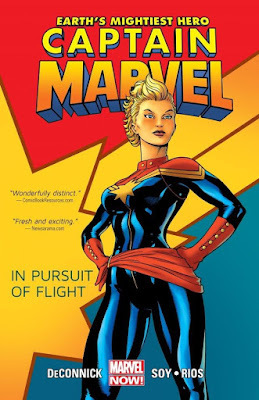 “We think this could become just the second comic to top $400,000 at auction,” said Ed Jaster, Vice President of Heritage Auctions. 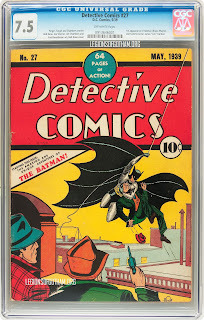 In February of this year Heritage’s offering of Batman's first appearance broke the existing world's record for a price realized at public auction for an individual comic book when it brought $1,075,000. In fact, it was because of that comic, and the international attention it garnered, that the consignor of this copy brought it forward. In 1974, the anonymous consignor of this comic was a college student in Honolulu when he paid $1,200 at a local bookstore for this copy of Detective #27. He later tracked down the woman who had sold the comic to the bookstore and confirmed that she had bought it off a local newsstand when it came out in 1939, some 20 years before Hawaii became the 50th state. At that time, spending that much on a comic book brought astonishment from the various people in his life. Needless to say, the potential 30,000% percent return on his initial investment has his friends – and all of us – shaking their heads again; mostly because we wish we had been as prescient. The consignor, for his part, will use a significant portion of the proceeds of the sale to pay for his son’s college education. Heritage Auctions, founded by Steve Ivy and Jim Halperin, is the world’s third largest auction house, with annual sales more than $600 million, and 500,000+ registered online bidder members. For more information about Heritage Auctions, and to join and gain access to a complete record of prices realized, along with full-color, enlargeable photos of each lot, please visit HA.com.